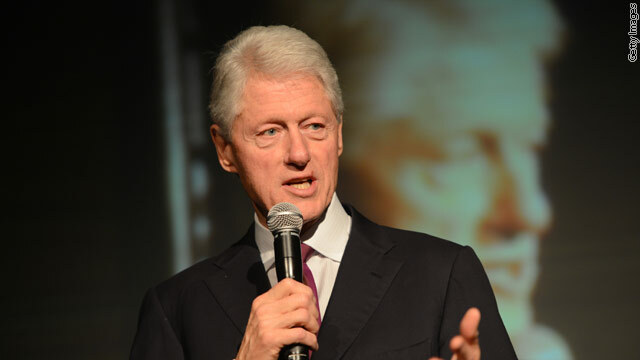 Is Bill Clinton off message? 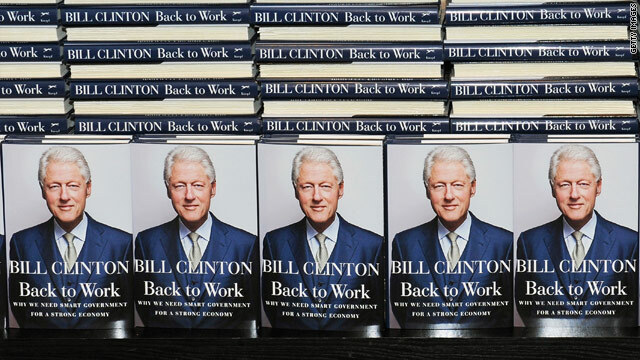 (CNN) – Former President Bill Clinton has landed in the headlines recently for making some seemingly off message comments while campaigning on behalf of President Barack Obama. As the current White House occupant’s most high profile surrogate and a popular national figure, Clinton’s words carry weight. They’ve prompted Congressional responses, comments from the White House and even a clarification from Team Clinton. Watch more from CNN Chief White House Correspondent Jessica Yellin above. 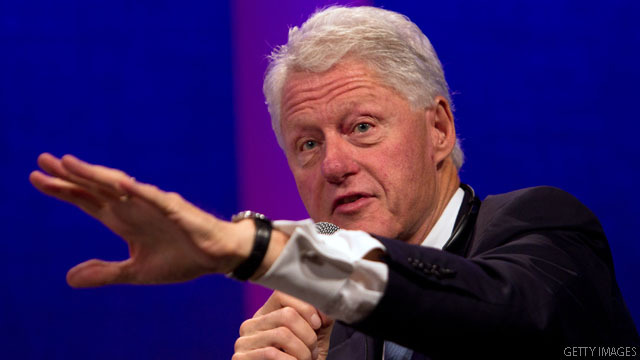 Monday, former President Bill Clinton will appear with President Obama at three fundraisers in New York City Monday. 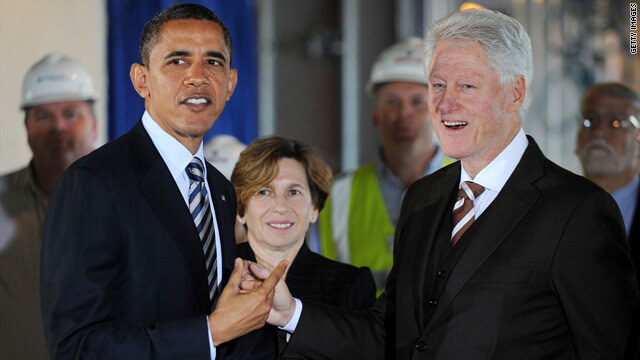 The two presidents are pictured touring an energy efficient building in DC last year. 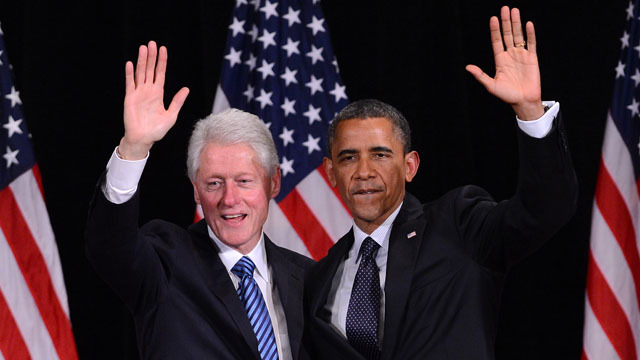 (CNN)–Joining forces with Hollywood and Broadway starpower, President Barack Obama and former President Bill Clinton are looking to add more than three and a half million dollars to the Obama campaign coffers and that of the Democratic Party Monday during a whirlwind seven hour trip to New York City. The evening begins with a high ticket reception for fifty people at a private residence in the city. The price for face time with both the president and former president doesn't come cheap. A Democratic campaign official tells CNN the tickets are $40,000 each. (CNN) - In the latest iteration of the administration's efforts to connect to supporters via social media, President Barack Obama will take part Monday in a Google+ 'Hangout," a chat room-like feature of Google+ that allows users to connect with each other via video connections. The White House pledges the president will answer "several of the most popular questions" submitted through YouTube while some questioners will be invited to participate in a live conversation on Google+. The latest social media push follows a Twitter town hall the president held over the summer. To the disappointment of some, the president merely answered pre-selected questions from Twitter users in that forum. 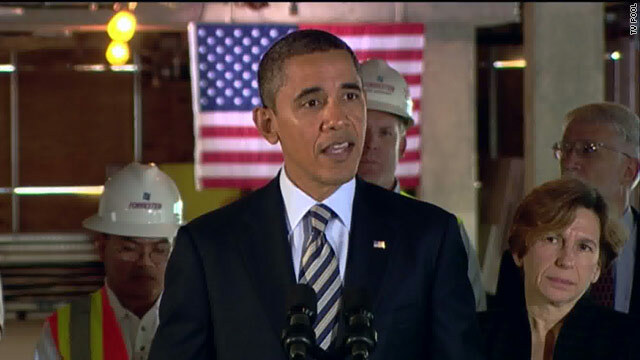 (CNN) – President Obama announced Friday the federal government and private sector partners will invest $4 billion over the next two years in energy upgrades to buildings across the country, an initiative the White House says will create several thousand new construction jobs. The president made the announcement on the top floor of a building currently under renovation and only steps from the White House with former President Bill Clinton at his side. The collaboration is part of the White House’s “We Can’t Wait” campaign – a series of executive orders Obama has issued over the last two months without congressional involvement. "Making our buildings more energy-efficient is one of the fastest and cheapest ways for us to create jobs, save money, and cut down on harmful pollution. It is a trifecta,” the president said. “It could save our businesses up to $40 billion a year on our energy bills." Obama also called on Congress to provide added incentives to private sector businesses that agree to undergo energy upgrades. Half of the $4 billion commitment is the result of a presidential memorandum to upgrade federal buildings nationwide. The White House says the up-front costs will be completely defrayed by the long-term savings that the more energy-efficient upgrades will produce. The other $2 billion investment pledge comes from a partnership of 60 mayors, university presidents, business CEOs, and labor leaders. The goal is to achieve a 20 percent upgrade in energy performance by the year 2020 in 1.6 billion square feet of office space. “Over the past decades we’ve seen what happens if we don’t make investments like these - wages flat line, incomes fall, and employment stall. 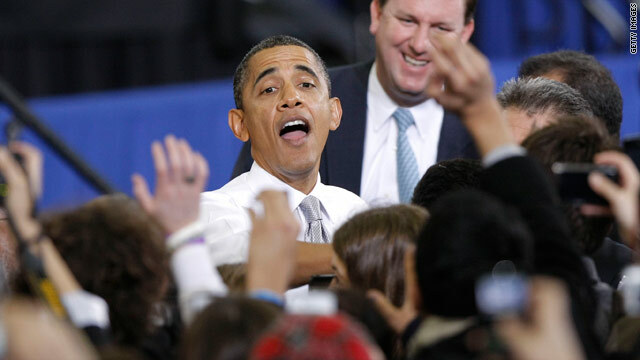 But we’ve also seen what happens if we do what’s right,” Obama also said. The new partnership builds on one already forged by the Clinton Global Initiative, which has secured commitments from 14 private sector partners to make a $500 million investment in energy upgrades. The announcement won quick plaudits from the U.S. Chamber of Commerce, an organization that often spars with the Obama administration over economic policy. “It is a surefire way to create jobs and make our nation’s federal buildings more energy-efficient, all without using a penny of taxpayer money,” he said.